Gujarat CM Vijay Rupani targeted the opposition, saying it has no poll agenda or issues to raise against his government, while the BJP is seeking votes in the name of development. 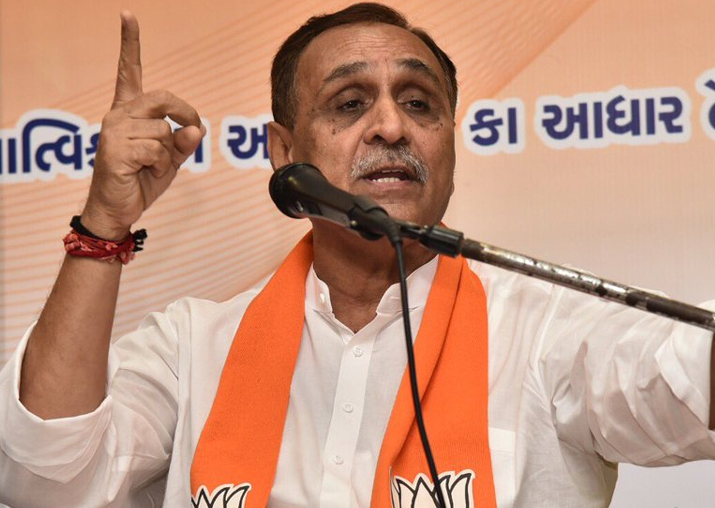 Gujarat Chief Minister Vijay Rupani has accused the Congress of seeking refuge in casteism and "outsourcing" its campaign to caste leaders while dismissing any threat to the BJP's poll prospects from the Congress-Hardik Patel tie-up. He alleged that the Congress was "deceiving" the people over the issue of reservation, while the agitators were lining up for poll tickets. Patel quota agitation leader Hardik Patel's open support to the Congress in the December Assembly polls is not an electoral alliance but a "deal" between two sides, the 61-year-old BJP leader said, describing Hardik as a "media-created" leader. Rupani dubbed Congress vice president Rahul Gandhi, who is extensively campaigning in Gujarat, as a "gappidas" (teller of lies) and accused him of dishing out fabricated statistics about the BJP-ruled state. "From what I understand, I can say it (Congress-Hardik alliance) won't have any effect (on the BJP) as they are exposed. They have kept aside the original demand of reservation and agitators have lined up to get Congress tickets," Vijay Rupani said. Rupani was replying to a question on the impact of Hardik Patel pledging support to the Congress in the Gujarat polls. "While the Congress is not speaking a word on how will it give reservation to the Patidars (if it comes to power), he (Hardik Patel) is declaring support to the Congress. This shows there is 'saudebaazi' (deal) (between them)," Rupani said. The Hardik Patel-led Patidar Anamat Andolan Samiti's (PAAS) support to the Congress after accepting the party's formula on giving quota to the Patels over and above the 50 per cent cap is being seen as a potentially game-changing development in Gujarat, ruled by the BJP for over two decades. Rupani, however, said the promise of giving quota breaching the Supreme Court-fixed cap of 50 per cent can't be fulfilled. "The country has seen many agitations on reservations and during one such agitation in 1980s over 100 youths were killed under the Congress government in Gujarat," he charged. The Supreme Court's largest bench has said reservation cannot be given beyond the 50 per cent limit, Rupani said. "I have a challenge for them - engage top lawyers of the country and get their opinion. Nobody will endorse the formula given by the Congress except Kapil Sibal, who is from that party," he said. "The Congress formula on giving reservations above the 50 per cent cap is an attempt to deceive the people and it won't work. This exposes the deal," he further said. Rupani targeted the opposition, saying it has no poll agenda or issues to raise against his government, while the BJP is seeking votes in the name of development. "The opposition has no agenda, while the BJP's agenda is development. They are caught in our agenda of development and had to start a campaign of 'vikas gando thayo che' (vikas has gone crazy)' to mock development," he said when asked if the opposition is setting an agenda for the 2017 elections. 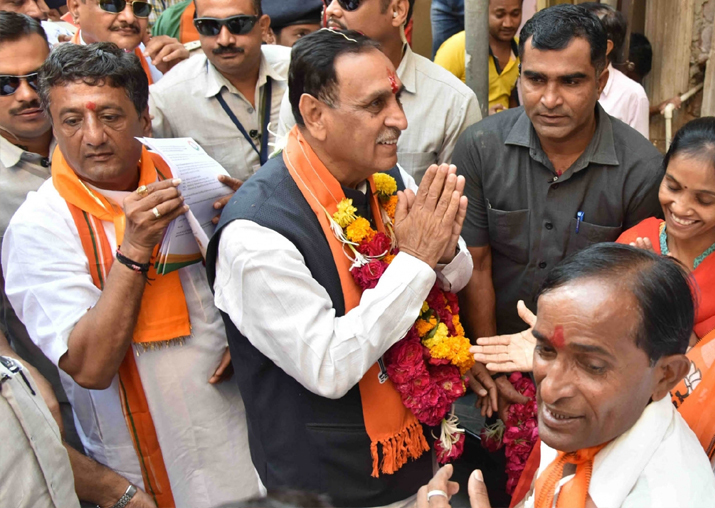 Bereft of any meaningful issue, the opposition is taking refuge in caste-based politics, said Rupani, who took over as CM in August 2016 replacing Anandiben Patel. "As the opposition does not have any issues against us they are taking refuge in casteism. The Congress is outsourcing its campaign by bringing in symbols of casteism like Hardik Patel, Alpesh Thakor (OBC leader), Jignesh Mevani (Dalit activist) and tribal leader Chottu Vasava. They want to satisfy their hunger for power by using caste as a tool. The Congress and all these casteist leaders will drown (in polls)," Rupani said. The Chief Minister said the BJP will achieve its target of winning 150-plus seats in the state (which has a 182 - member Assembly) despite caste and community leaders declaring support to the Congress. "Hardik, Alpesh are nothing now. They do not have much sway on their communities. They are leaders created by the media. They are exposed. 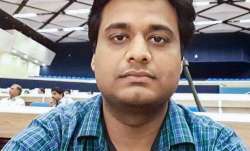 They are working as Congress agents," he said. "They are indulging in full-fledged politics. Whatever they are doing is for their personal gain and for grabbing power. The reservation issue has been sidelined and they are queueing up for getting (poll) tickets. It is good they have been exposed before the polls," he said. To a question on Gandhi's aggressive campaigning in Gujarat, Rupani said he is just reeling out wrong numbers, but this strategy won't work with the Gujarat voters. "I have called him a 'gappidas' (teller of lies). He is saying that 30 lakh youths of Gujarat are unemployed, while the figure registered with employment exchange is six lakh," he said. "He is saying 13,000 schools have closed down in Gujarat (since the BJP came to power in 1995), but the fact is 17,000 new schools have come up in our time. Dishing out wrong facts will not go down well with the people of Gujarat," he said. The Chief Minister agreed the Gujarat election results are important as it is the home state of Prime Minister Modi and also BJP president Amit Shah. "The country has one election or the other after every six months. Every election is important. Of course, Gujarat is the home state of Prime Minister Modi and BJP president Amit Shah...and elections here are very important," he said. "When Modi was the CM, people gave us 120 seats and now when he is the prime minister they will give 150 seats to us," Rupani said. Asked about poll surveys predicting a drop in the BJP's vote share this time, the Chief Minister said he is not aware of any such survey. He said the Congress fears Modi's popularity. "I am surprised the opposition is raising the question that the BJP will fight the elections on the popularity of Modi. The Congress has outsourced their campaign to caste leaders while Modi is our leader," he said. "In fact, they fear Narendra Modi and that is the reason they are saying the BJP's campaign will be Modi-centric," Rupani said when asked if the Gujarat elections are being fought on Modi's name. When pointed out that the BJP has still not declared him as the Chief Ministerial candidate, Rupani said, "Such decisions are taken by the party's central leadership. I am a loyal party worker. I have shouldered all responsibilities given to me (till now) and will do so in the future also." Rupani, seeking re-election from the Rajkot-West seat, said during his short tenure as CM, he has taken decisions for the welfare of different sections of the society. "I have taken many pro-people, pro-women decisions and worked with utmost sincerity and simplicity. I meet everyone with humility, I always consider myself as a representative of small people," he said. "I am easily approachable to anyone who wants to meet me. I feel that due to this approach, I have made a base (in Gujarat)," Rupani added. Gujarat will go to polls in two phases on December 9 and 14. Counting of votes will take place on December 18.